The reference photo for this painting was taken late in the afternoon on one of the last weekends of warm weather before it starts to get cold. It’s the time of year when the days start to get shorter and the quality of the light changes. I’ve walked down this street many times but this time I could envision it as a painting because of the long shadows, the color of the leaves and the way the white house is drenched in sunlight. I played around with the composition until it was balanced without being symetrical. I painted it with QoR watercolors on 140# Arches rough watercolor paper. The youtube demo is below. 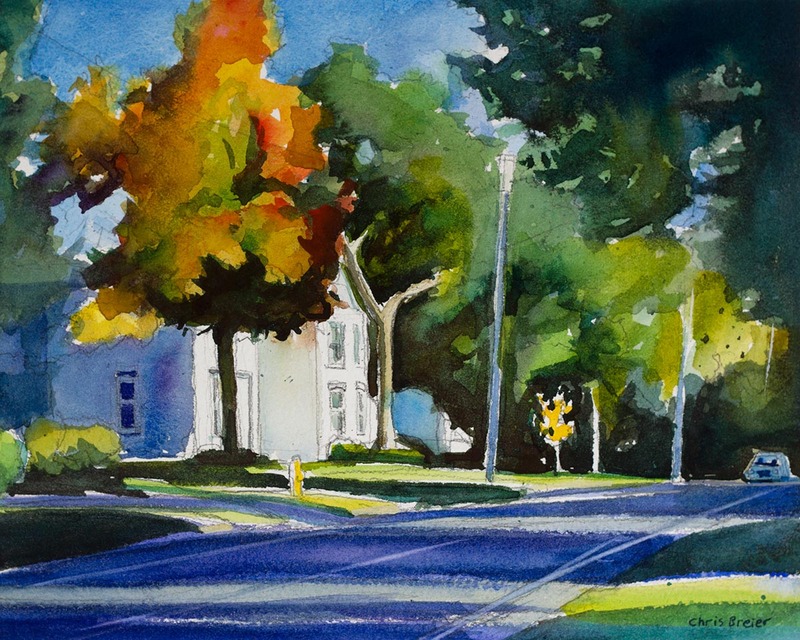 If you like this painting you might be interested in my other watercolor paintings.